The client, present on the Russian market, wanted to obtain information about the Polish market of financial services before expanding onto this market. Fast delivery of data at a low cost was an important element of the project. Within two weeks we succeeded in collecting information about the market of financial services in Poland, with a special emphasis on the segment of non-banking institutions, which has been developing fast in the recent years. The market data has been collected using the desk research technique, which means analysing the existing data collected from various sources. In the case of this project, useful sources comprised expert analyses of the financial market, forecasts, market value estimations, as well as analytical reports. Another important element of the project was providing the profile of the leading companies operating within the non-banking segment. The profiles contained the key data about the enterprises and their offer. After the data was collected by PMR analysts, it had to be merged and mutually verified. A desk research analysis forms an important part of the PMR Market Insight methodology, used by our team. A summary of the market analyses and corporate profiles have been provided to the customer in a report which contained information that was the most useful from the point of view of the client. 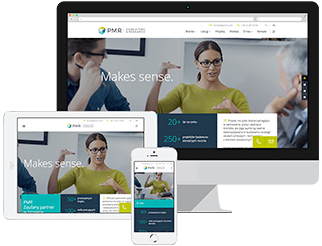 Thanks to including context information and using the expertise of PMR analysts, we were able to prepare data-rich material that provided the client with help in its business plans.